Moreover, at 10 years just 3.4% (19/564) of the RYGB group were within an estimated 5% of their baseline weight, compared with 55.5% (692/1247) of the nonsurgical group. Four-year results showed that the RYGB group lost 27.5% (95% CI, 23.8% – 31.2%) of their baseline weight, while patients in the adjustable gastric banding group lost 10.6% (95% CI, 0.6% – 20.6%) and those in the sleeve gastrectomy group lost 17.8% (95% CI, 9.7% – 25.9%). In relative terms, RYGB patients lost 16.9% (95% CI, 6.2% – 27.6%) more of their baseline body weight than did patients who had adjustable gastric banding and 9.7% (95% CI, 0.8% – 18.6%) more than did those who had sleeve gastrectomy. The authors note that these results are similar to findings of two longer-term studies done in Sweden and the United States, as well as to those of shorter-term studies. They also note that they could not assess 10-year outcomes for the sleeve gastrectomy group because of the newness of this procedure. and point out a “critical evidence gap” for this procedure, which has recently become the most commonly performed bariatric surgery in the United States. More research on postsurgical complications, disease resolution, and long-term mental health after bariatric surgery is needed to enable patients to choose the procedure that is right for them. “Engaging patients in a high-quality shared decision-making conversation about their weight loss treatment options (including no treatment) is critical because prior studies have found that patients have unrealistic expectations of the weight loss that bariatric surgery will help them achieve,” the authors conclude. In a linked editorial, Jon C. Gould, MD, from the Medical College of Wisconsin, Milwaukee, highlights this study’s “remarkable” finding that only about 3% of RYGB patients gained their weight back to within 5% of their baseline weight over 10 years. 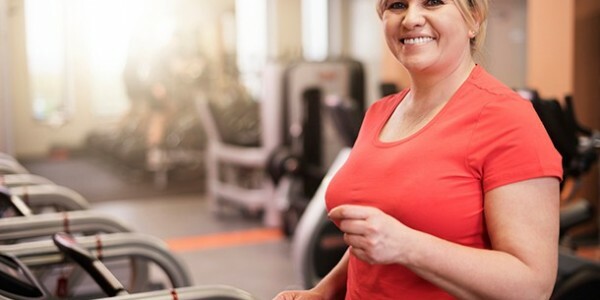 He also emphasizes the cardiometabolic benefits of bariatric surgery and mentions evidence suggesting that these benefits may be independent of weight loss. “Metabolic and bariatric surgery has changed the natural history of obesity. Patients who undergo metabolic and bariatric surgery live longer and are less likely to develop severe obesity-related conditions than their nonsurgical counterparts,” he writes. However, he laments the low use of these procedures — only about 1% of morbidly obese surgical candidates actually undergo surgery. “Although the reasons for this are multifactorial, here is to hoping that with the publication of the article by Maciejewski et al, the perception that all metabolic and bariatric surgery patients gain their weight back has become less valid,” he concludes. The study was supported by a grant from the Department of Veterans Affairs. One or more authors reports institutional grants, institutional contracts, stock ownership, and/or travel funding from one or more of the following: Department of Veterans of Affairs, the Agency for Healthcare Research and Quality, the Centers for Medicare & Medicaid Services, Amgen, the National Institutes of Health, the Patient Centered Outcomes Research Institute, the Informed Medical Decisions Foundation, and/or the Informed Medical Decisions Foundation. Dr Gould has disclosed no relevant financial relationships.